As far as I can remember, I have never had negative feelings while watching an India - South Africa match. I have loved quite a few of the Proteas. The nineties team especially. Yes, they had quite a few that I absolutely loved. I have talked about this enough in my past blogs. Let’s get on with the teams. When the two teams meet, there is a lot of healthy competition and rivalry in the air. Both teams respect and admire each other. The negativity that seems to fill the air in case of an India - Pakistan match or India - Australia is missing here. The bond between India and South Africa is indeed very special and respectable. Both on the field and off of it. I am not even going to bring Mahatma Gandhi into the picture. I am strictly sticking to cricket. India welcomed South Africa with open arms after the apartheid came to an end. India took the lead and played against the team the moment the boycott came to an end. South Africa was welcomed into India in 1991. This was South Africa’s first international series after decades of being cast aside. A lot happened in that series. Allan Donald, one of the best fast bowlers the world has ever seen, was discovered. India won the series. 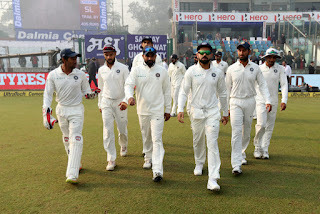 South Africa won the hearts of the Indian Cricket Fans along with the third and final match of the three-match series. An emotional captain Clive Rice was quoted in Wisden as saying, "I know how Neil Armstrong felt when he stood on the moon." From that day to today, India and South Africa celebrated their friendship and have played a healthy game of cricket since. 6 test series and no wins. That is quite heartbreaking. Yes I know I said the bond and the rivalry is extremely friendly. That does not mean we do not want to defeat them on the cricket field. ‘Cos we so do. We still strive to defeat the team and work very hard at it. As do they. The game is not compromised. But the match is played with the right attitude. Right sportsmanship. 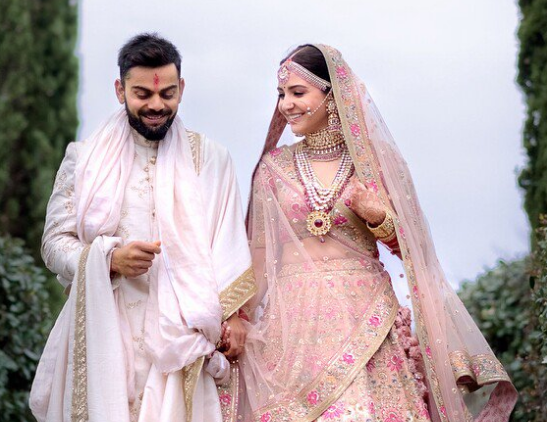 And back to parties and stuff off the field together.My point was, India is yet to win a test series in South Africa. The men in blue are not just in good form but in excellent spirits as well. And why not. Virat Kohli and the missus. Shikhar Dhawan and the missus. Bhuvneshwar Kumar and the missus. Rohit Sharma and the missus. Not just that. 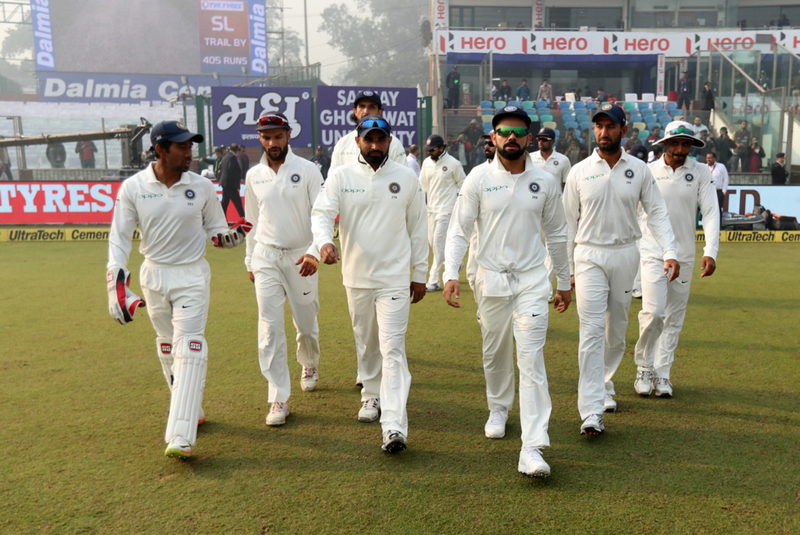 The Indian Cricket Team have had a marvelous 2017. Apart from defeating Sri Lanka hands down recently, they recorded 37 victories in the year. This is second best only to the 30 victories recorded by Australia in 2003. The mood is so good that the team looks to create history in South Africa. They can do it. The schedule - three Tests, six One-Day Internationals (ODI) and three Twenty20 Internationals against South Africa with the first Test beginning on January 5 in Cape Town. While the teams that have gone to the Rainbow Nation before are no less awesome. India also visits Australia and England after. The next year and a half will test the men in blue. While India has been doing quite well, South Africa needs to buck up. They fizzled out not only in the Champions trophy but also against England. But they are the home team. And the conditions will be hard on India. India won in India and in Sri Lanka. Where the ball is slow. SA conditions will test the real form of India. But there is something really special about the current team. So says my gut.